TrackingTheWorld’s all-weather EnduroPro GPS tracker offers an ideal choice for extreme weather conditions, from recent summer heat waves to below zero temperatures. Designed to provide accurate and reliable reporting in the most extreme conditions ranging from -40° to 185° Fahrenheit, the EnduroPro is also water-resistant to IPX-5 standards. Time to first fix for the Enduro Pro is 29-seconds from a cold start, and less than one second from a hot start. 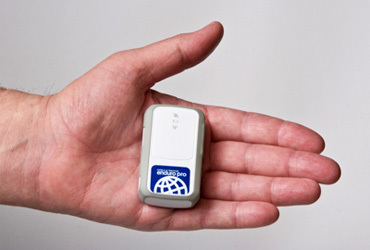 The tracker includes a built-in motion sensor to extend battery life, which powers down the tracker when it is not in motion, resulting in one of the longest battery lives available for trackers of similar size. The device is equipped to operate for up to 16-days on a single charge based on five minute reporting intervals and one hour of reporting per day. An ultra-compact tracker, the EnduroPro weighs 60-grams, and measures 67.5mm x 40mm x 21mm. Additional technical specifications include Quad-Band 850/900/1800/190MHz operation, GSM phase 2/2+ compliance, a 1300mAh, 3.7V Li-polymer backup battery, 50-channel all-in-view tracking, and a uBlox 6 GPS receiver. Designed for use with TrackingTheWorld’s GPS tracking software, the Enduro Pro provides fixed-time reporting, geo-fencing, emergency alerts, and customized reporting options. Interface options include a mini-USB port for PC connection, an LED indicator for power, GSM, and GPS statuses, power and function buttons, and an MMCX RF connector for utilization of an external GPS antenna.